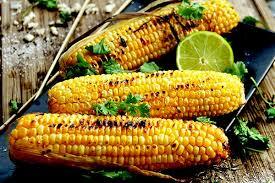 It’s the monsoon season and one of the best snack during this season without a doubt is roasted whole corn with a dash of lime, red chilli powder and salt rubbed on it. For Mumbaikars, its a must have and its called ‘Bhuta’. Corn is rich in fibre and low in carbohydrates. A cup of sweet corn gives you 3.5 grams of dietary fibre which keeps you full and helps with weight loss. A perfect mid snack for weight watchers. Yes! Even diabetics can enjoy the same in controlled portions. Corn offers a source of complex carbs, giving your body fuel for a long period. Corn is a starchy food, which means your body must break down and digest the carbs in the corn before creating glucose for energy which prevents sudden spikes or drops in blood sugar levels. During monsoon, the digestive system gets sluggish. So soluble fibre in corn keep our gut healthy and prevents colon cancer too. Insoluble fibre prevents constipation and intestinal problems by promoting soft and bulky stool that can move easily through the intestines. Corn is a rich source of B complex vitamin which increases mental ability and boosts memory. Its good source of vitamin C, niacin, thiamine, folate, potassium which prevents heart disease, hypertension and lowers bad cholesterol too. This tiny food is loaded with Phytonutrients –carotenoids, lutein and zeaxanthin which are responsible for its bright yellow colour which helps to improve eye health. Corn is packed with minerals such as phosphorous, magnesium, manganese, zinc, iron and copper, and the trace mineral selenium. Corn has good protein content. It has all amino acid except lysine and isoleucine so if you make a corn salad with tofu or cheese or add some nuts, eggs or lentils to it. You make it a complete protein snack. Corn is rich in antioxidants. It also contains, phenolic compound and ferulic acid which have the capability of fighting tumours in the breast and liver. 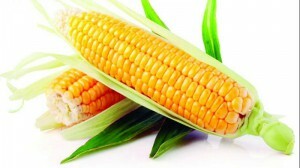 If you suffer from celiac disease or are gluten intolerant, corn is a safe vegetable for you to eat. It is naturally gluten-free so won’t cause any problems or discomfort, making it a great substitute for other ingredients. 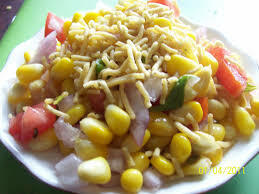 Besides enjoying corn on the cob that can be relished steamed or roasted, try corn bhel, corn pizza, corn patties, baked corn, corn biryani or corn frankies. If you are Too lazy or in hurry? Then just toss steamed corn kernels in an olive oil-salt-pepper-herbs dressing and bite in as you watch the rain go pitter patter on the window shields. Just remember, while sweet corn is a healthy treat, corn slathered in butter and doused in salt is not a healthy option. So go ahead and enjoy this guilt-free snack!